Digestion is one of the most important aspects of human life. There is a saying that you are what you eat, but it would be even more correct to state that you are what you digest. The food that you digest is what nourishes your body. A healthy bacteria colony found in your gut is what carries out digestion. When these bacteria are missing or in low numbers, the body can lack nutrients and suffer from indigestion. This is where probiotics come in to help. Probiotics are living bacteria or yeast microorganisms whose primary role is to digest foods. Probiotic bacteria in your digestive tract operates in a symbiotic fashion with your organism. Probiotics can be found in fermented foods and in supplement form in different quantities and types. There are different probiotic bacteria in supplements, and each should choose a probiotic to their own specific condition and needs. When Should You Consider Probiotics? In what instances should you turn to the help of probiotics? There are times and circumstances under which a person may need the help of a probiotic supplement to restore the natural bacteria balance in the gut. One of the periods in your life when you need probiotics the most is after taking antibiotics. Antibiotics kill the bad bacteria that cause infections, but it also kills your healthy bacteria colonies which is dangerous to health in the long run. All kinds of digestive issues require the use of probiotics for proper gut healing. In fact, digestive issues are a result of a disturbed bacteria balance in the guts. Issues like leaky gut, constipation, diarrhea, IBS, and acid reflux all benefit from probiotic supplementation. Skin conditions are a direct result of an unhealthy gut colony. If you constantly suffer from skin rashes, eczema, or itching of the skin, try supplementing with some good quality probiotics to take care of this problem at the root. Probiotics play not only a digestive role but also a protective role for the organism. According to Academic Studies, the correlation between probiotics and our immune system is undeniable. A stunning 70-80% of the immunity of the body is found inside the gut. If you are constantly sick, you may need probiotic supplementation to fix the issue. Women’s issues, such as yeast infections and urinary tract infections, are caused by bad bacteria in the body. The probiotic bacteria helps push out pathological bacteria and fix the issue. If you feel tired all day, the reason could be that you are not receiving the necessary nutrition, and your digestion is taking up all your energy. Probiotic bacteria and yeast help the body carry out digestion with fewer energy losses. Anxiety and depression could also be a sign of low probiotic count. According to Science Daily, taking probiotic supplements have shown to improve symptoms of bad mood, anxiety, and depression. Bifidobacteria: These are commonly used in supplements and help support the immune system, limit the bad bacteria growing in the intestines, and convert lactose into nutrients that the body recognizes and uses. Lactobacillus: The bacteria produce lactase as its end product. Lactase is an enzyme that breaks down milk products into a usable form. It also controls the bad bacteria in the intestines. The lactobacillus strains increase the absorption of minerals by the body. Other than the symptoms of a low probiotic count in the body, additional health benefits are noticed with the taking of probiotics. Good digestion and sufficient nutrients coming into your organism help the work of other organs as well. The heart is positively affected by a probiotic increase. According to NCBI, they lower bad cholesterol by breaking down bile in the gut. High and long-term probiotic supplementation also lowers blood pressure as per studies. Since probiotics improve nutrient absorption and some even prevent absorption of fat, you can supplement with probiotics and lose some weight as a result. CFU stands for colony forming units and refers to the count of bacteria found in a single dose of supplementation. Depending on your condition, age, or gender, different numbers of these are optimum. The probiotic should always contain at least 1 billion CFUs. Adults taking the supplements for minor problems or as a preventive measure benefit from 1 billion to 10 billion CFUs daily. People with more complicated issues can use a higher probiotic count that goes as high as 100 billion CFUs. 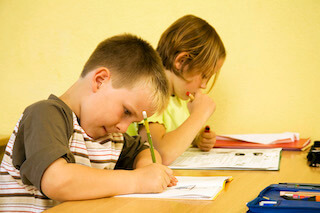 Children usually take a probiotic that is below 1 billion CFUs as their organism does not require as much. Probiotics are different and most of the bacteria do not survive to reach the gut lining because of the corrosive stomach juices. To get more out of the probiotics, take the supplements together with or right after meals. What Are the Best Probiotic Strains? Streptococcus thermophilus: Support the healthy tissue of the small intestine. It prevents nitrates found in some foods from turning into more dangerous compounds for the body. Proteins are broken down by it so they do not enter the body undigested. Bacillus laterosporus: Very beneficial for curing bacterial and fungal infections such as candida. Bifidobacterium bifidum: Keeps the bacteria in the body in optimal levels, aids digestion, and boosts immunity. If you want a good looking skin, this strain is the one to go for as per Self Hacked. Lactobacillus Plantarum: A probiotic that produces an amino acid used in calcium absorption and production of hormones among many other things. It can help cure bowel disorders. Bifidobacterium breve: One of the probiotics used for improving the health of your colon. This is especially important after an antibiotic intake. What Are the Best Probiotic Brands for Women? All of these brands are vegan/vegetarian and halal certified. This means that no pork, gelatin, animal ingredients, alcohol, gluten, sugar, dairy, preservatives, colors, or flavors have been used in the product. Prosperity Health Probiotics Gummies come with a high-potency formula and a delicious orange and strawberry taste. Good for people suffering from IBS and Crohn’s syndrome. Helps recover muscles and reduces cholesterol. Good for children and adults. Strawberry flavored vegan and halal probiotics. Have a stable shelf life, so you don’t need to refrigerate them. 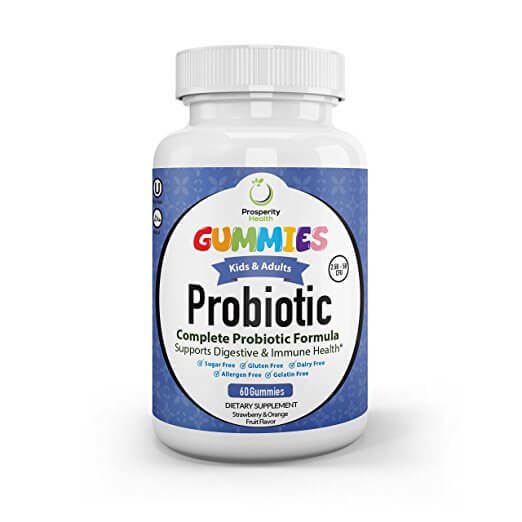 The probiotic gummies produced by the company are great for children and adults alike. With 5 billion CFU, the 70 gummies inside are a natural vegan product with Halal and Kosher certification. The probiotic has a patent time-release mechanism which allows the body to more easily sustain the bacteria once it is inside. The Probiotic-10 and Inulin formula has 10 different strains and 25 billion CFUs. It’s Halal, Kosher and Vegan-friendly. With 10 Probiotic Strains, 25 billion CFU and 50 servings per container, Now Probiotic-10 is our best choice on the list, and our best price. Furthermore, Now Food is a strong and recognized American brand. What Are the Best Iron Supplements to Buy In 2019? previous post: What Are the Best Probiotic Supplements for Men to Buy in 2019?